Vintage soul, jazz and Western swing combine on Pokey LaFarge's latest album, streaming now. Release date for Manic Revelations is on May 19, 2017. It will be released via Rounder Records. The stream is delivered via Brooklyn Vegan. Also check out our Pokey LaFarge artist profile to find eventual tour dates in your area and links to the official web and social media pages of Pokey LaFarge. Last but not least make sure you scroll down and check out reviews for 'Manic Revelations'. 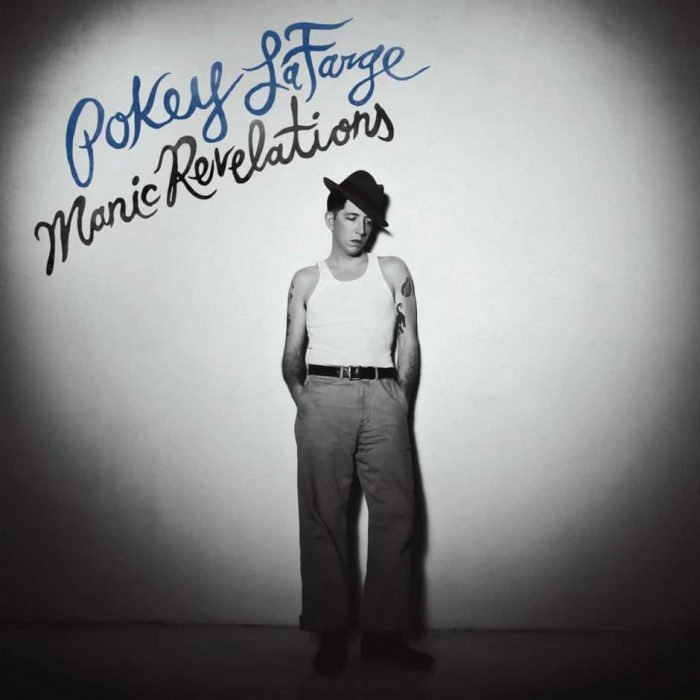 We currently know 6 reviews for "Manic Revelations" by Pokey LaFarge. People have mixed feelings about the record but in general seem to like it. "Consistent and authentic throughout, Pokey LaFarge is an essential new record for anyone who appreciates old sounds." "LaFarge’s slight country drawl and understated twang nails the ’20s period the music evokes, and the effort is even more rewarding than Diana Krall’s recent endeavor in the same genre." "Pokey will invite you to step away from the modern, more complex times and immerse yourself in a period of music from the mid western USA which formed the heart and soul of the country. It is a trip well worth it." "Ragtime and country, jazz and swing; all swirl together on this collection of expertly formed roots nuggets." "The vibe on this debut for Jack White's Third Man label is pre-rock'n'roll." "It's music as vivid as your last disaster."